Irish co-production The Favourite from Dublin company Element Pictures was the big winner at the BAFTA Awards in London on Sunday night, winning in seven categories, including Outstanding British Film, Best Actress for Olivia Colman and Supporting Actress for Rachel Weisz. The Favourite - an Ireland-UK-US co-production - was nominated in 12 categories ahead of Sunday night's awards at the Royal Albert Hall. The black comedy also won Best Original Screenplay, Production Design, Costume Design and Make Up & Hair, but lost out to Roma for the overall Best Film award. There was disappointment for The Favourite's Irish cinematographer, Robbie Ryan, who saw the Best Cinematography award go to Roma director Alfonso Cuarón. The Mexican filmmaker was also the winner of Best Film, Director and Foreign Language Film for his semi-autobiographical drama about life in Mexico in the 1970s. Accepting the Outstanding British Film award, The Favourite director Yorgos Lanthimos said, "It's a great honour... this film took 20 years to make - I contributed to the last 10." He paid tribute to his three stars, Olivia Colman, Emma Stone and Rachel Weisz, saying: "Of course the three leading ladies that I couldn't be more proud of." The Favourite ties with Roma for the most nominations at the upcoming Oscars, which take place on February 24. The award for Best Actor went to Bohemian Rhapsody star Rami Malek for his portrayal of the late Queen frontman Freddie Mercury. The film also won Best Sound on the night. Accepting his award, Malek said he had been given a "gorgeous gift". He added: "Thank you so very much to Queen, the entire Queen family - I wouldn't be here without you. And to the greatest outsider of them all, for being so unwavering and unflinching and uncompromising in every which way, thank you Freddie Mercury again." 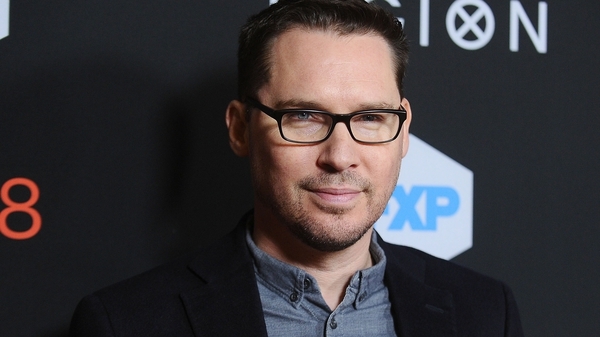 Malek had thanked Dexter Fletcher, who was brought in to finish Bohemian Rhapsody, but not the film's named director Bryan Singer, who was fired from the project. Days before the ceremony, BAFTA suspended Singer's award nomination in the Outstanding British Film category in the wake of sexual assault allegations, which the director has denied. The award for Best Supporting Actor went to Green Book star Mahershala Ali, while Black Panther's Letitia Wright won the Rising Star award. Host Joanna Lumley told the audience that she was thrilled to be back as presenter, and referenced the Oscars not having a host this year. She joked that her keeping the role was mostly down to her "not having a Twitter account".